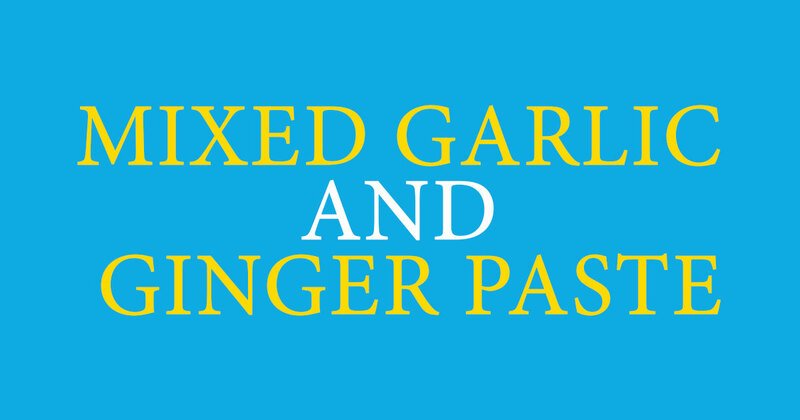 Garlic and ginger paste is so easy to make. 1Simply peel equal amounts of garlic and ginger and blend with just enough water to make a paste. If this sounds like a bit too much work, you can also purchase it ready made at Asian grocers and most supermarkets. You can also substitute grated or finely chopped garlic and ginger for the blended paste. Some stores only stock garlic paste and ginger paste in separate jars. Just take equal amounts of both out and mix them to make the garlic and ginger paste needed for most recipes in this book.